It’s hard to hit all the must-see spots in this city that never sleeps. Get a taste of it all with these top 10 things to do in NYC. Hit all the must-sees, like the Statue of Liberty, the 9/11 Memorial, and the Brooklyn Bridge, but also discover Central Park’s secrets, sample the city’s best cocktail bars, and go on a tasting tour of Williamsburg. And that’s only scratching the surface! What visit to New York is complete without a stop at Liberty Island? 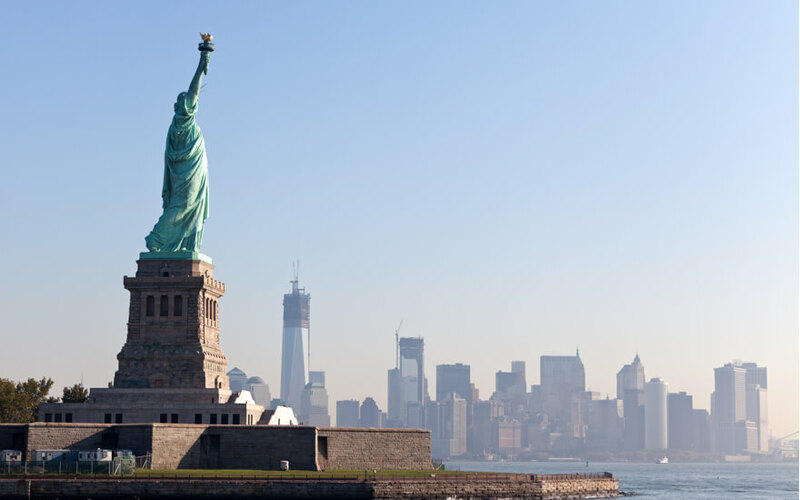 There’s a reason this landmark tops things to do in NYC: the Statue of Liberty is one of the most iconic neoclassical sculptures in the world. Gifted to the United States from France in 1886, the Statue of Liberty has overlooked New York Harbor for over 100 years. Learn the secrets of this important structure as well as the history of Ellis Island on this must-do New York tour. Capturing hearts and minds for over a century, the Brooklyn Bridge is a fixture of the New York skyline. Bridging two of New York’s most iconic boroughs, the Brooklyn Bridge has its own unique and storied history. 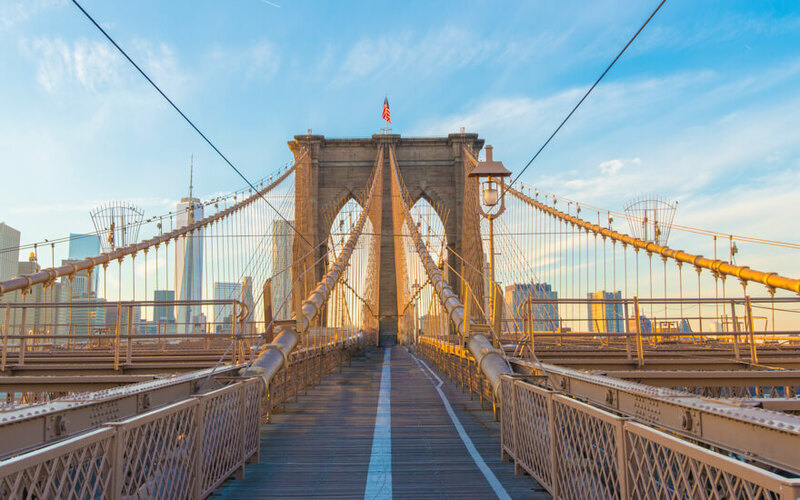 Learn everything you’d ever want to know about this architectural marvel while taking in sweep views of Manhattan on this walking tour of the Brooklyn Bridge. This moving memorial is well worth the trek to lower Manhattan. 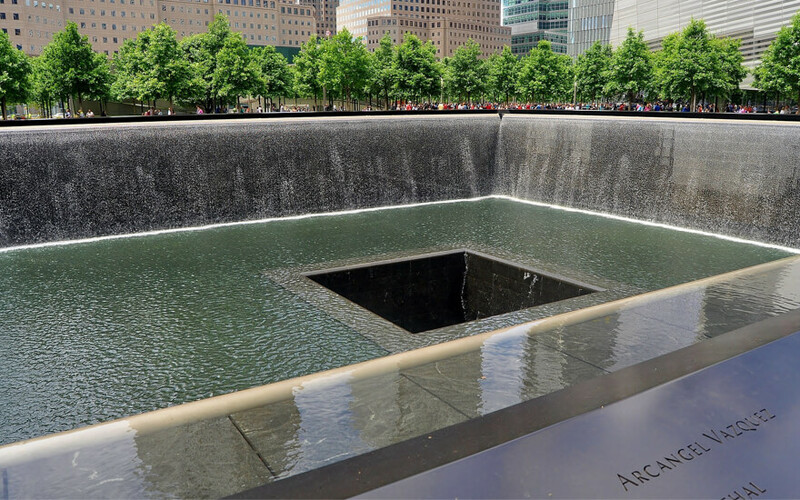 Following 9/11, the World Trade Center site has been transformed into a beautiful and arresting memorial, dedicated to those who lost their lives in the attacks. Today, the grounds are covered with rows of white oaks, while the foundations of the formidable Twin Towers have been replaced with massive reflecting pools. This tour will take you to the memorial, as well as along Wall Street. What better way to discover New York City than go on a cocktail crawl of its best bars? Join this Manhattan cocktail tour and sample the wares at the best spots in the city. At the same time, you’ll learn about New York’s history during Prohibition, visit what was once a secret speakeasy and discover the hidden door that used to lead to it—all the while tasting unusual cocktails made by New York’s finest. Cocktails and snacks included! Calling all escape-room junkies! There’s a reason New York City has some of the best escape rooms in the world. Check out Escape Games NYC in Lower Manhattan for creative and varied room design, engaging puzzles, and unbeatable experiences. The best things about Escape Games NYC? All their games are private, so you won’t be put together with strangers. It does mean you pay based on how many people are in your group, but if you’re going with a group the rates here are among the most competitive in NYC. No trip to New York is complete without a visit to Central Park, the first of its kind in the United States. There’s a reason this is at the top of everyone’s things to do in NYC list. Over 150 years old, Central Park holds more than its fair share of secrets, some of which you’ll learn on this two-hour walking tour of the famous park. Learn how the park was constructed and discover some of the architectural treasures left by the creators for visitors to discover for decades to come. The High Line is a popular destination in Manhattan for its beautiful views and interesting history. 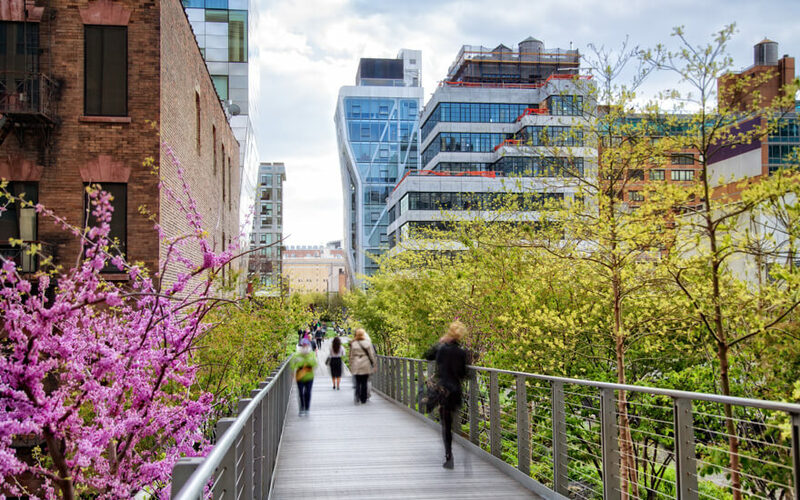 Once an elevated railway track running along the west side of Manhattan, today the High Line is a 1.45 mile green belt and walking trail that traverses one of the most beloved boroughs in all of Manhattan: Chelsea. Learn the history of the area, and enjoy a few complimentary bites, on this walking tour of the High Line. Don’t spend your whole trip in Manhattan. Make sure you get out to Brooklyn where you can enjoy a burgeoning arts, music, and boutique scene. Williamsburg is arguably at the center of this cultural revolution, home to some of the most exciting and unique treats and tastes. On this walking food tour of Williamsburg, taste flavors from the neighborhood’s past and future. You’ll try pierogis from a Polish bakery, wicked-hot BBQ, and cereal milk ice cream at Momofuku Milk Bar, to name a few. Combine a tour with a show on this only-in-New-York experience. 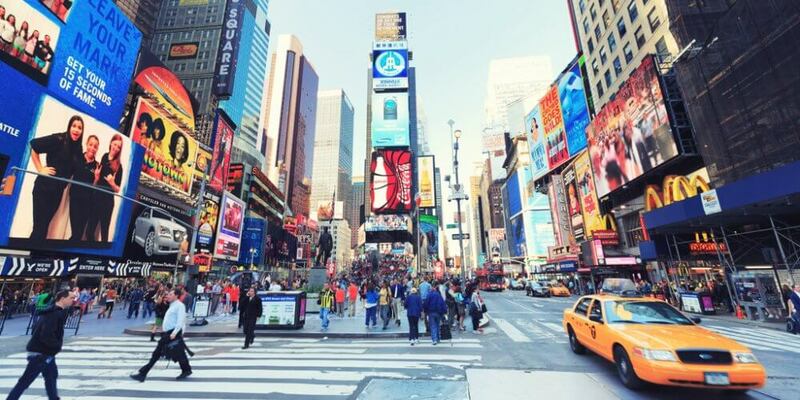 Tour the city’s bright and colorful Midtown visiting must-see locations like Times Square, Columbus Circle, the Chrysler Building, Grand Central Terminal, and Bryant Park. Meanwhile, watch the streets come alive around you as pop-up performances happen right before your eyes on the streets of Manhattan featuring actors, singers, and dancers. You can’t miss this only-in-New-York experience! Travel north of Manhattan to Harlem for an amazing gospel brunch experience. Attend a gospel service followed by a delicious Harlem-style brunch. You’ll also explore the neighborhood, stroll through Mount Morris Park Historical District, and learn the history of the area. Make sure you show up in your Sunday best! Looking for other great experiences in New York? Hijinks is the online marketplace that makes it easy to discover and book life experiences to enjoy with friends, family, and co-workers. Whether it’s an escape room visit, cooking class, or team building activity, we provide comprehensive listings, customer ratings and reviews, and easy browse and search functionality to help you book with confidence. For more information check us out here.